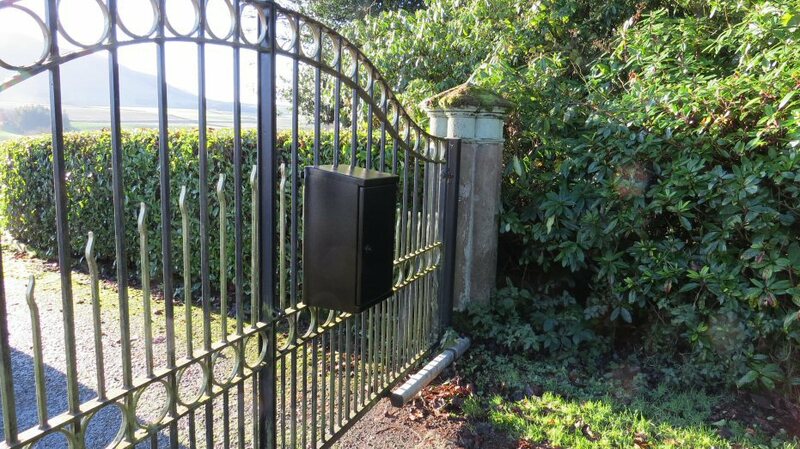 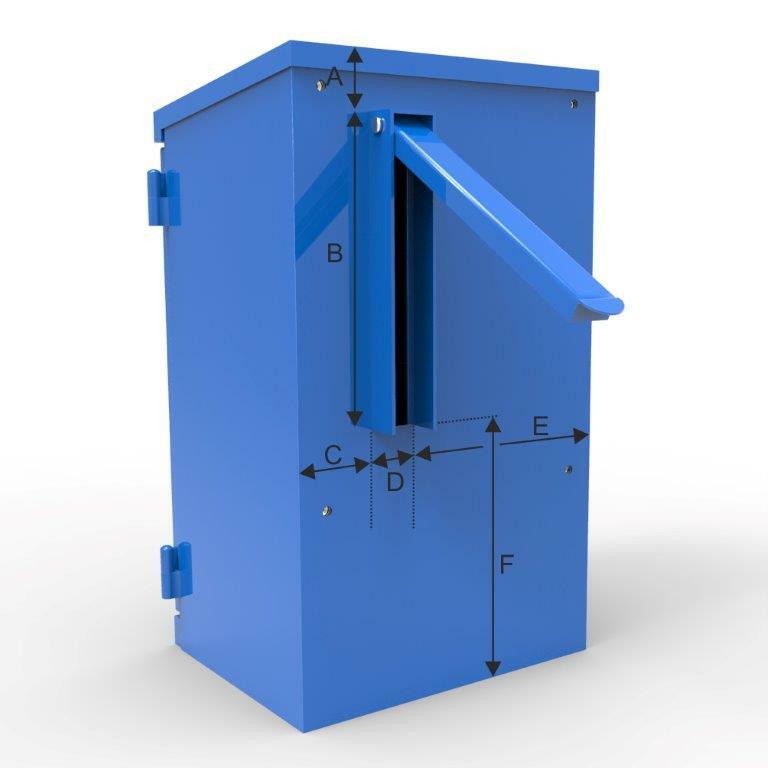 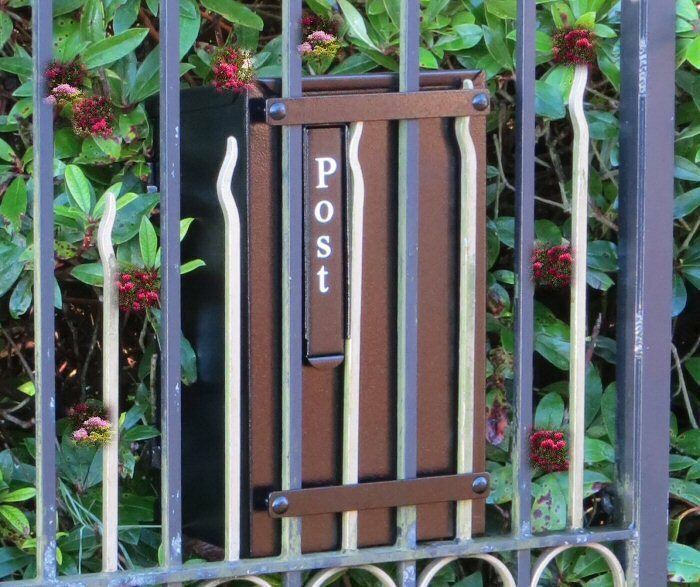 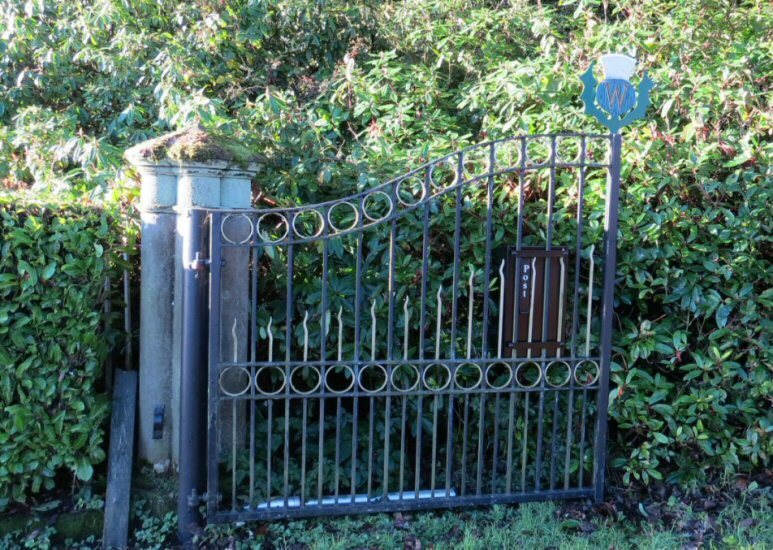 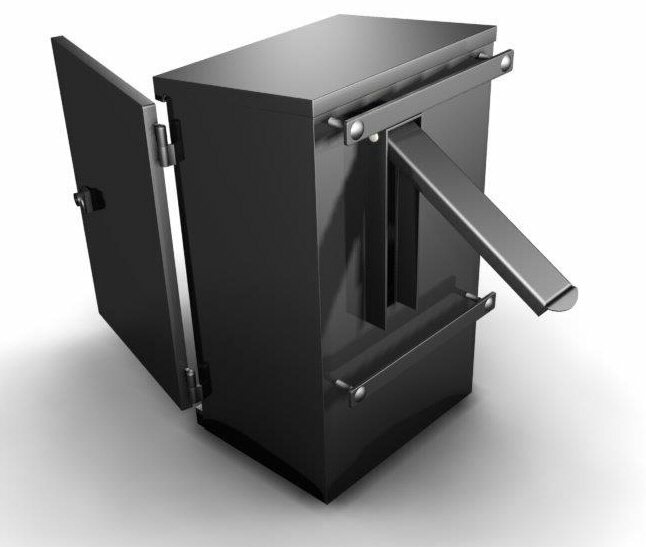 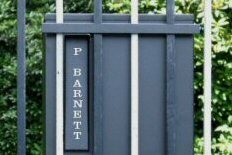 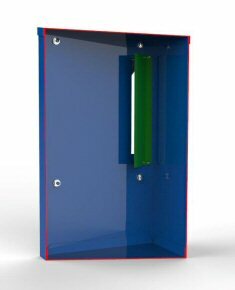 A good capacity letterbox designed to be fitted to gates and railings with no drilling or welding and a minimum of effort. 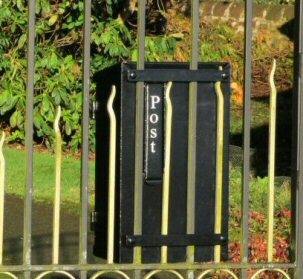 The box is suitable for both round and square railings Simply clamp the letterbox to your railings using the brackets supplied, the only tool required is a 13mm spanner. 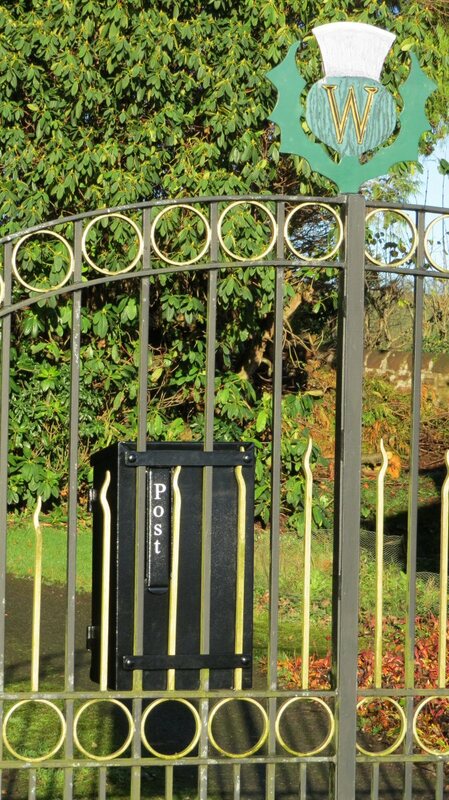 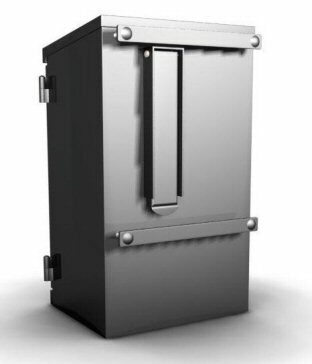 This impressive letterbox is manufactured to a high standard and is made entirely in the U.K from quality materials. The Sheffield is made from 1.6mm thick galvanised steel which is phosphate coated prior to being powdercoated in an enamel based satin textured black. 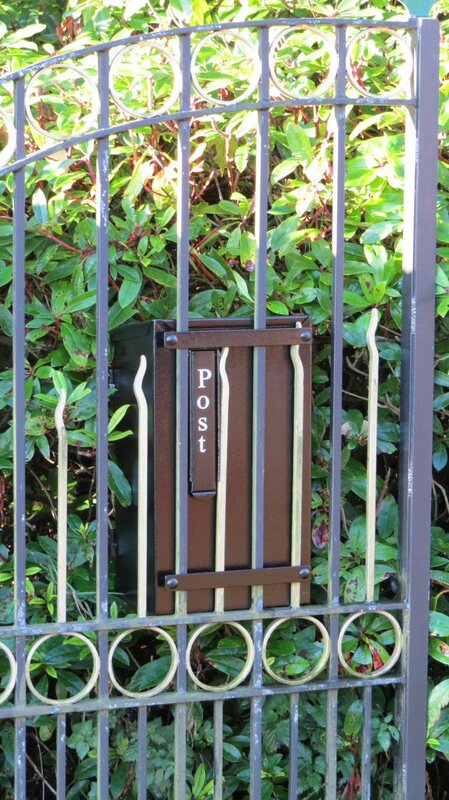 The letter flap opening has been designed with a lipped surround to prevent driving rain entering. 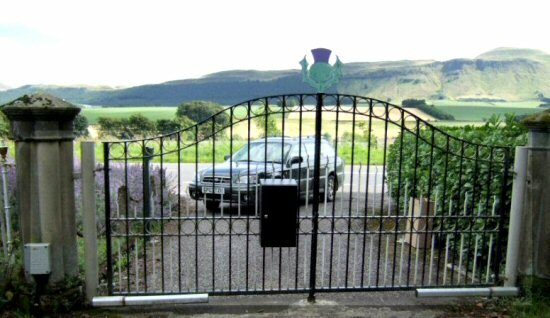 The vertical flap makes it ideal for fitting into gates with gaps between the railings as close as 75mm. 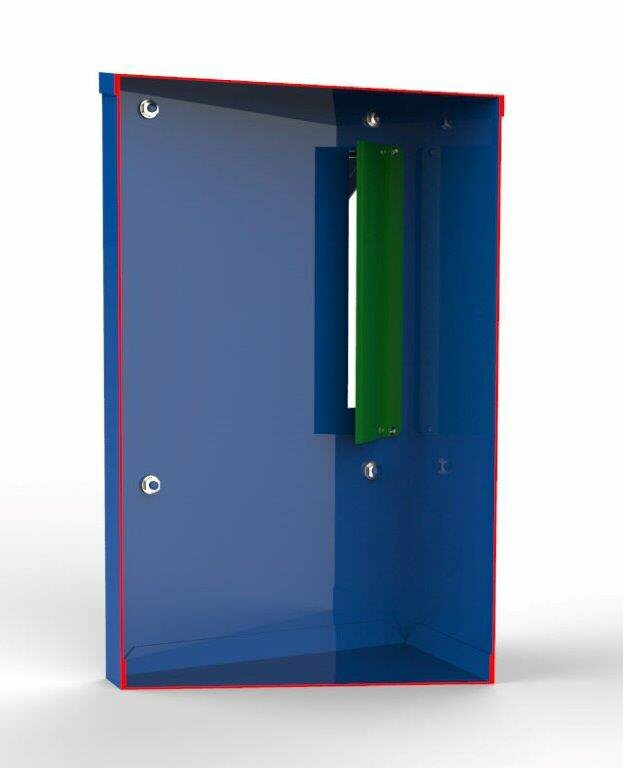 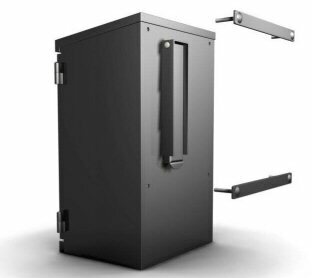 The rear door has a wide opening and is fitted with a push type lock with 2 keys. 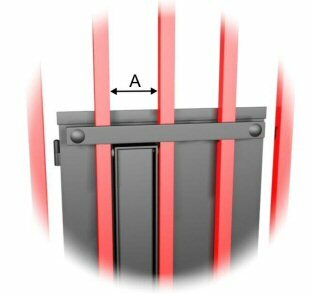 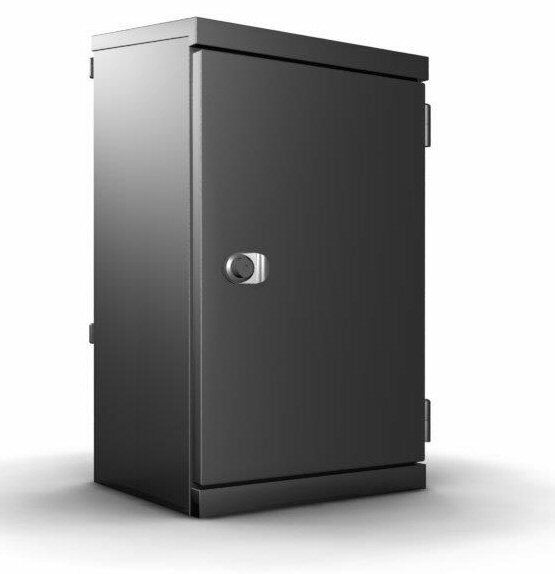 The lock can be left in the unlocked position for quick opening if security is not an issue. 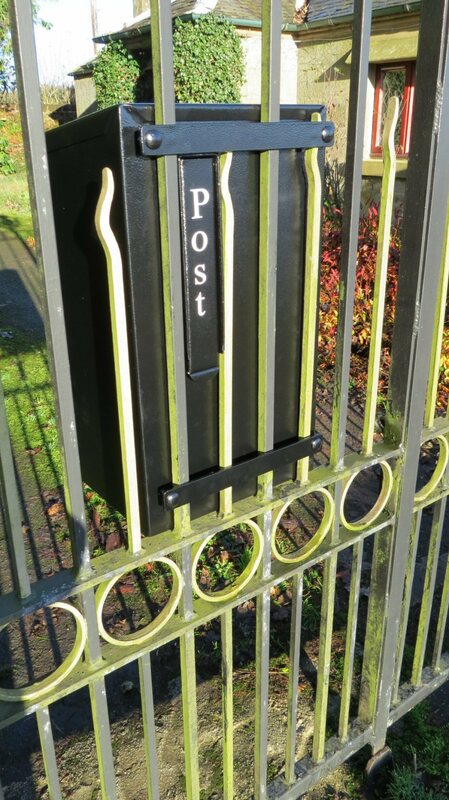 Additional keys are also available.